Item # 306444 Stash Points: 3,495 (?) This is the number of points you get in The Zumiez Stash for purchasing this item. Stash points are redeemable for exclusive rewards only available to Zumiez Stash members. To redeem your points check out the rewards catalog on thestash.zumiez.com. 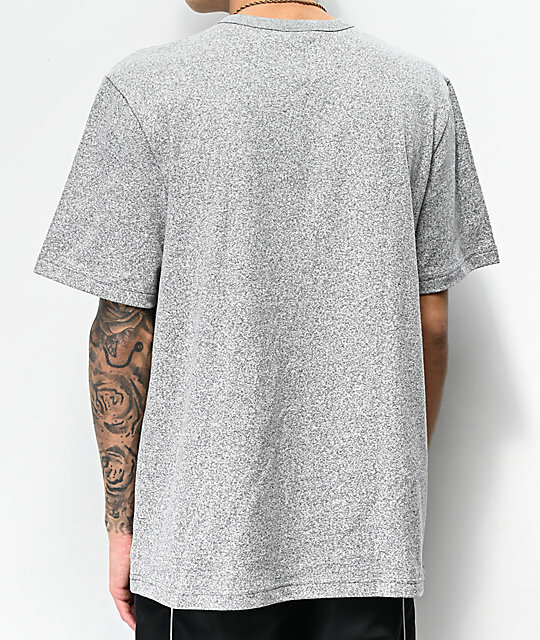 Add a simple athletic look to your closet with the Mock Twist Indigo Grey T-Shirt from Champion. 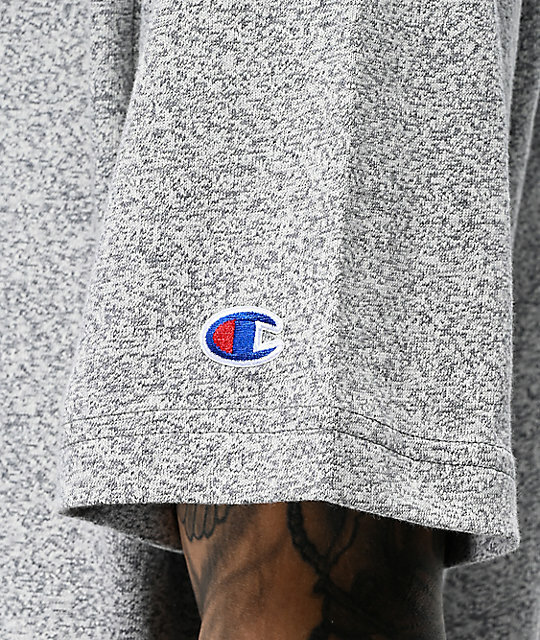 This unique garment is made with twisted yarns that created its heather grey appearance, while the chest features a red velour Champion script logo for a timeless look. Offered with a 7 oz. cotton blend construction, this short sleeve tee has a premium feel for ultimate comfort. 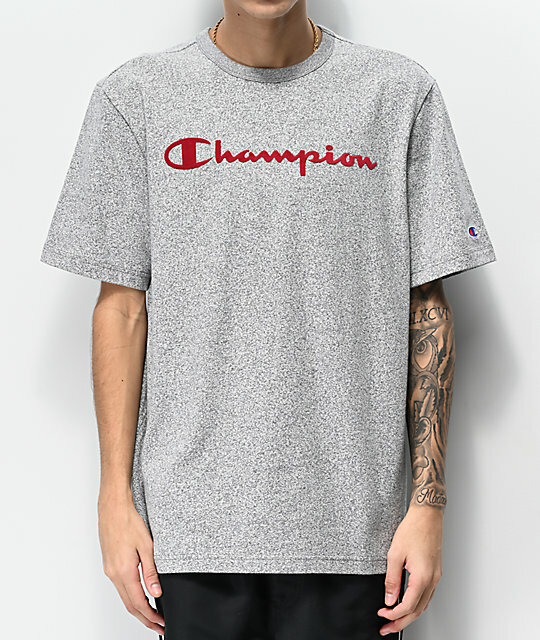 Mock Twist Indigo Grey T-Shirt from Champion. 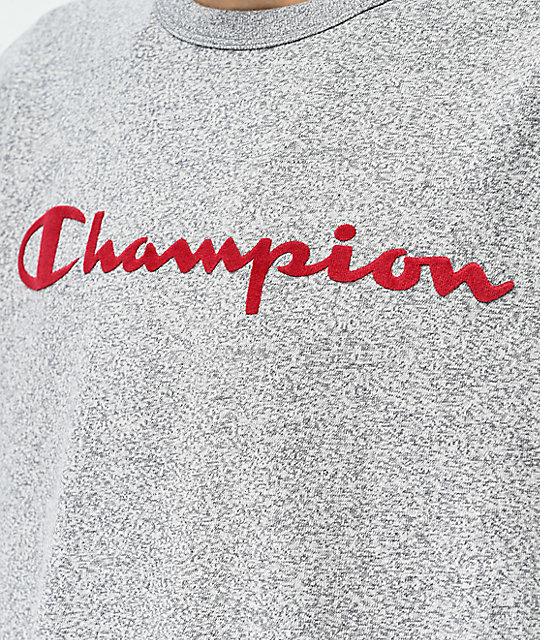 Velour Champion logo on the chest in red.